Our Team – MobileUX Technologies Inc.
MobileUX Technologies boasts a seasoned Leadership Team. Rodrigo is an accomplished Sales & Business Senior Executive and Entrepreneur with more than 20 years of success globally, including leadership positions in Fortune 50 companies. Possessing extensive experience leading a global business with $3.4B USD in annual sales, he is known for his expertise of integrating cultures, teams, technologies and complex businesses. Owen is an accomplished Leader in International Business and high-level Military Intelligence. He brings a multi-dimensional strategy to leadership, research, operations and analytics. Owen has consistently brought significant impacts to the bottom lines of organizations in multiple industries. 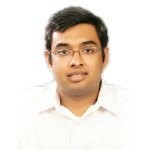 Ajith N. was part of many leading IT Services Companies in India and the United States. Ajith’s expertise is in Data Warehousing and Business Intelligence, and he was pivotal in implementing several Data Analytics initiatives at various Fortune 500 companies. Jorge is a highly accomplished executive with extensive experience in leading large technology projects and operations in Ericsson, Claro (Brazil) and 3 UK. Jorge brings expertise in product strategy, solution architecture design, product development and operations. He has been pivotal in transforming the vision into a platform. Ajith G. brings a vast experience in planning and implementing enterprise architecture for more than 2,000 schools in the United States and end-to-end educational systems. 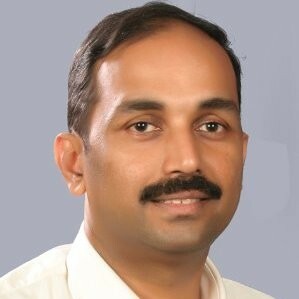 Ajith plays a key role in defining the product roadmap and strategy. Liju brings more than 20+ years of experience from having worked with Microsoft and leading the Microsoft COE for Multinational IT service companies. As a consultant he has worked with multiple Fortune 500 companies. He has also filed two patents.